The fox doesn’t look well. It might be that he is having some itch and the ashes give him relief. I hadn’t thought of that. 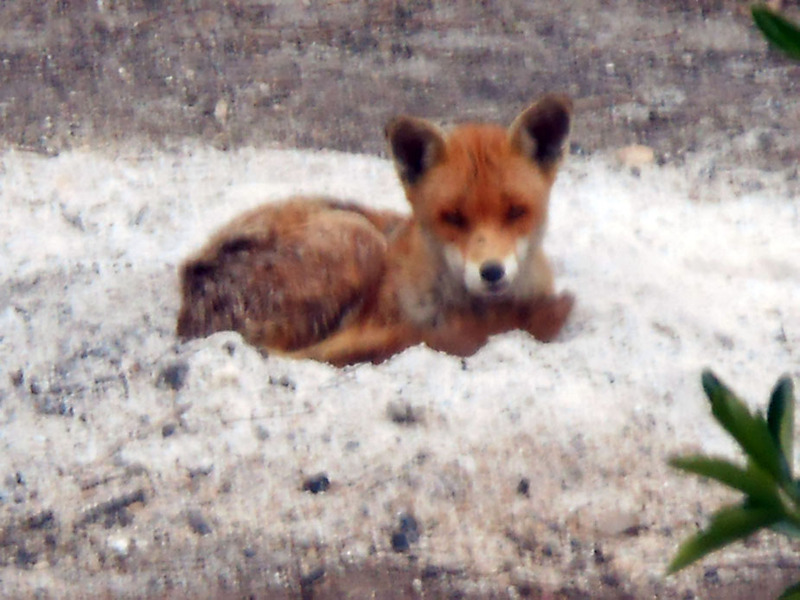 This picture was taken from upstairs in my house on a zoom lens, as the fox was in my neighbour’s garden. A few days before this, the garden had been like a jungle in which four foxes went to sleep everyday, but then my neighbour cleared the area. 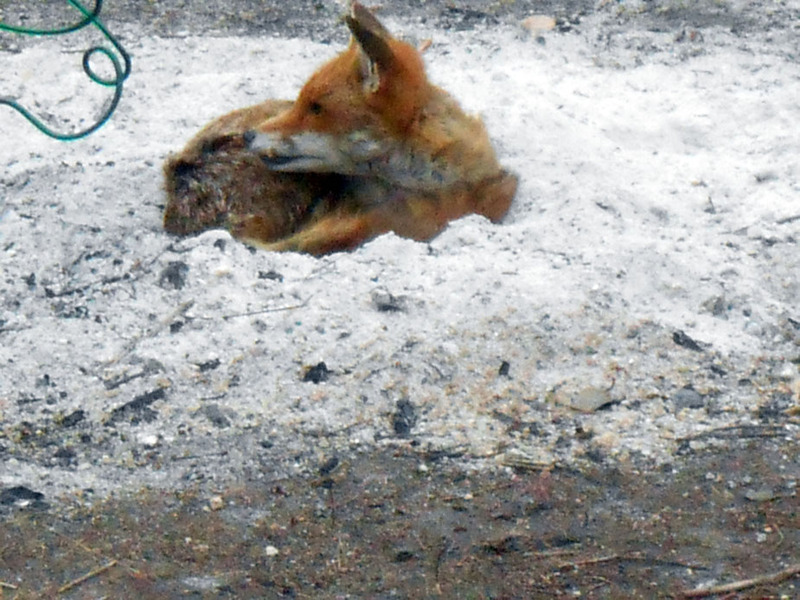 What I thought when I saw the fox was that he had just returned to his usual sleeping spot out of habit, which happened to be where the bonfire had been. A fox family in the back garden! I will give you a glimpse of my reality. A fellow photographer posted a picture of a lizard on Facebook, and I drove almost 20 miles to that place to see the lizard. I saw him, but haven’t managed to take a picture. True story. he’s lovely! I hope he’s ok! There are lots of foxes in my neighbourhood, with woodland and hills nearby. They have the best of both worlds and are generally healthier than the urban foxes nearer to the town centre.